Carry-on backpacks with wheels can be one of the best luggage options as they give users the option to carry their luggage as either a backpack or roll it as a wheeled carry-on. In addition, several carry-on backpacks with wheels come with a detachable daypack for additional storage and freedom while traveling. A wheeled backpack is one of the most flexible pieces of luggage you can own. Whether you’re going on an international vacation, a family visit or a business trip, the ability to switch between rolling and carrying your belongings in a durable, lightweight pack can be a lifesaver and a back saver. Want to pick the best carry-on backpack with wheels for your needs? 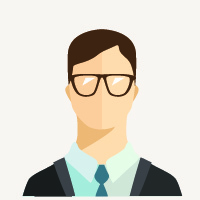 Read on for our top picks and a guide on what things you should look for when you buy one. The Hypath 2-in-1 Convertible Travel Bag offers the best overall value when factoring in price, quality, functionality, storage space and aesthetics. This is the best carry-on backpack with wheels if you are looking for the best overall value. Functionality: The Hypath Travel Bag is the most functional for a day-to-day trip, especially the detachable daypack. While other options offer some kind of daypack, the Hypath has more storage, more interior pockets, a laptop sleeve, a tablet sleeve and a chest support strap. Price: The price puts this bag among the most affordable options, and its functionality makes it higher quality than other options in the same price range. Storage: The Hypath Travel Bag also has more combined storage space between the wheeled backpack and the detachable daypack than other comparable options, all while still staying within the size restrictions of most major airlines. Quality: While the quality is high for the price, there are other brands that are of higher quality materials if you are willing to pay more. 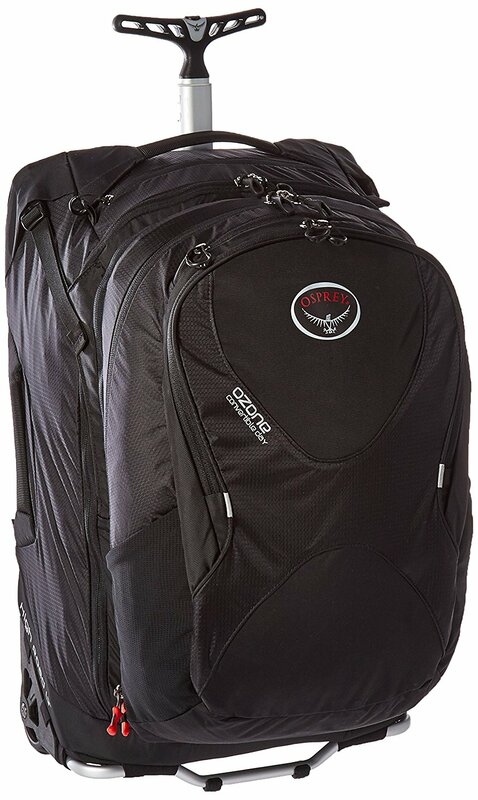 The Osprey is the highest quality carry-on backpack with wheels and comes with a detachable daypack. All of the materials, from the zippers to the straps to the interior lining, are of the highest quality and durability. Exterior design: The exterior has a sleek, modern design. The material is durable, water resistant and strong while still being lightweight. Interior lining. The interior lining is durable but lightweight. It is also waterproof in some areas to protect electronics. Lightweight design: The Osprey Ozone Convertable uses high-level custom design in areas like the retractable handle and the wheels to be as lightweight as possible without sacrificing strength or durability. Zippers: This bag has the best zippers out of our top picks for best carry-on backpacks with wheels. The zippers are durable, smooth and able to last the test of time. Price: The high quality of the Osprey Ozone Convertable comes at a price. This is the most expensive on our list of best carry-on backpacks with wheels. Space: This bag is designed to be lightweight and compact. Its fine for smaller trips of a few days, but it is likely too small for trips of a week or more. 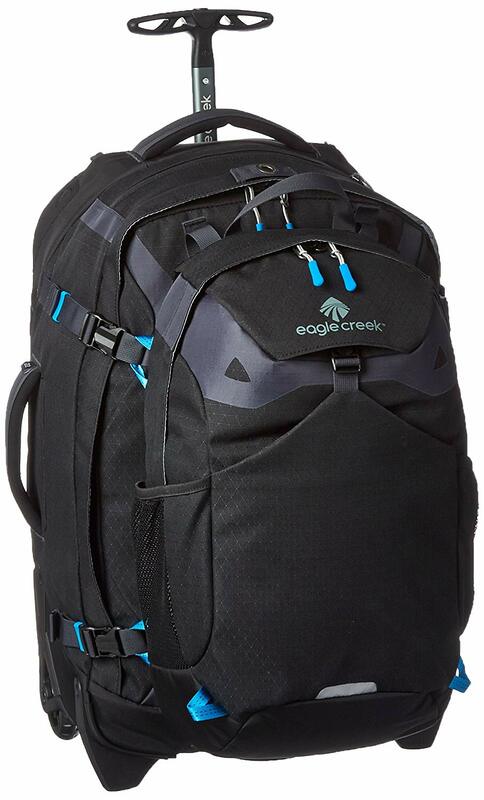 The exterior look of the Eagle Creek Doubleback is modern and sleek. The material is both high quality and durable with a reflective and water resistant coating. The custom design paired with the blue accent color gives the Doubleback the best overall appearance. It looks professional while also being adventurous. 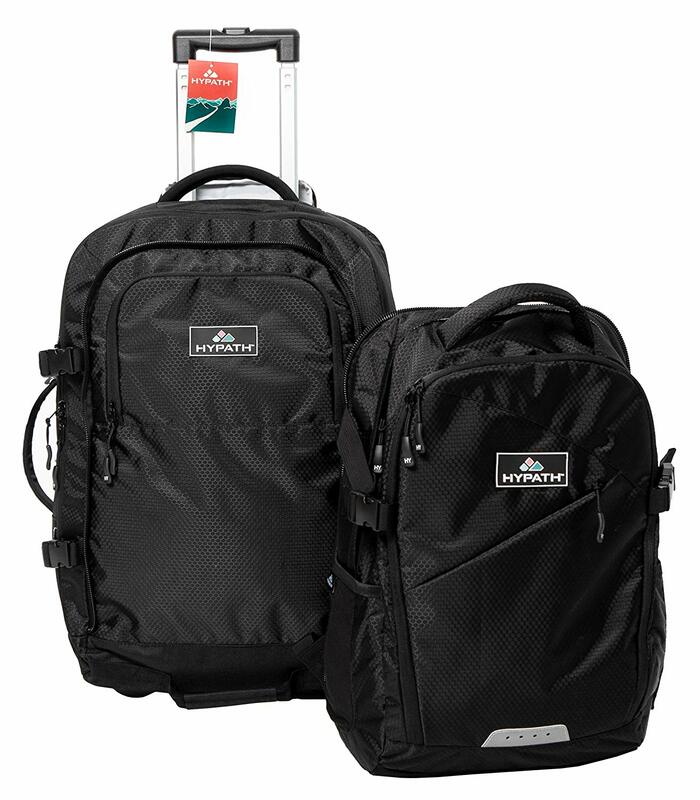 Quality: Eagle Creek luggage is all of the highest quality. The materials, design, zippers, handles and interior linings are all thought through. Eagle Creek didn’t cut any corners. Daypack: The daypack is tiny and is only good for a small day hike. If you are looking for a daypack that is good for general day-to-day use such as being able to carry a laptop and plenty of additional items, you’ll need to look elsewhere. At the time of this article, the High Sierra AT7 is the most affordable option. Although the design is basic, the High Sierra AT7 offers a nice amount of space and a decent level of quality and durability. Price: The current price is one of the most affordable on our list of best carry-on backpacks with wheels. Space: The AT7offers one of the highest amounts of carrying space in the main wheeled backpack. Design: The interior layout and overall design are basic. The AT7 takes a no-frills approach, especially with the detachable daypack. There are limited additional features such as extra interior organization pockets or pouches. If you need a carry-on backpack with wheels quickly, the High Sierra AT3 may be a good choice. It is the most widely available as it’s for sale in big-box retail stores and online. Price: The AT3 is among the lowest in price and still offers decent functionality and quality. Storage: The main carry-on portion of the AT3 has the max amount of space allowed by most airlines. Features: The AT3 is a simple, no-frills option. It’s still a decent option if you just need a simple piece of luggage for an affordable price, but you won’t get all the bells and whistles of other bags. The most important thing to consider when choosing your luggage size is the amount of space you’ll need for your trip. Do you frequently fly to your travel destinations? If so, the size of your wheeled backpack will determine whether it’s considered carry-on or checked luggage. 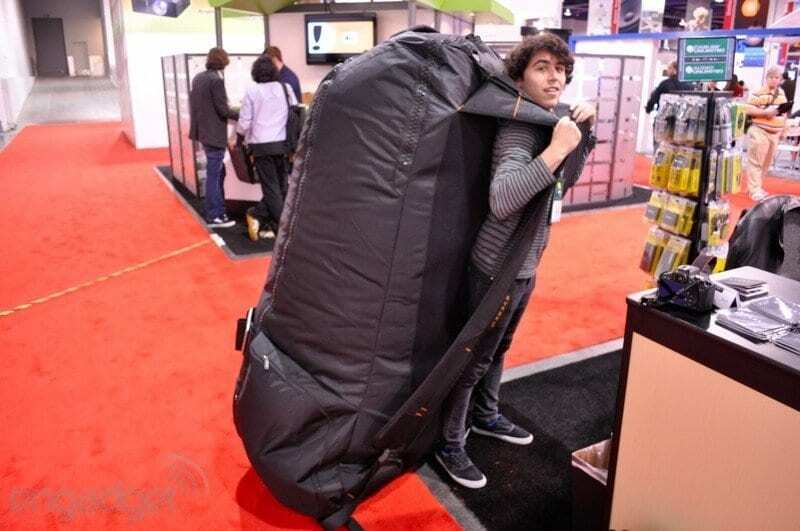 Most American and European airlines have a maximum size requirement of 22 x 14 x 9 inches for a carry-on bag, but some airlines have smaller or larger limits. That specific size equates to approximately 45.4 liters of storage volume. Some people prefer to travel with no checked baggage, so they don’t have to pay high luggage fees, wait to retrieve their bags when they arrive or risk having their possessions damaged or lost. If that’s you, make sure your carry-on backpack with wheels fits within the maximum carry-on dimensions for the airline you’ll be flying on. Staying within this size limit is nice because you avoid the hassle of waiting in checked baggage lines and save money by avoiding baggage fees. Your luggage and belongings also won’t get lost or mishandled by airline staff. 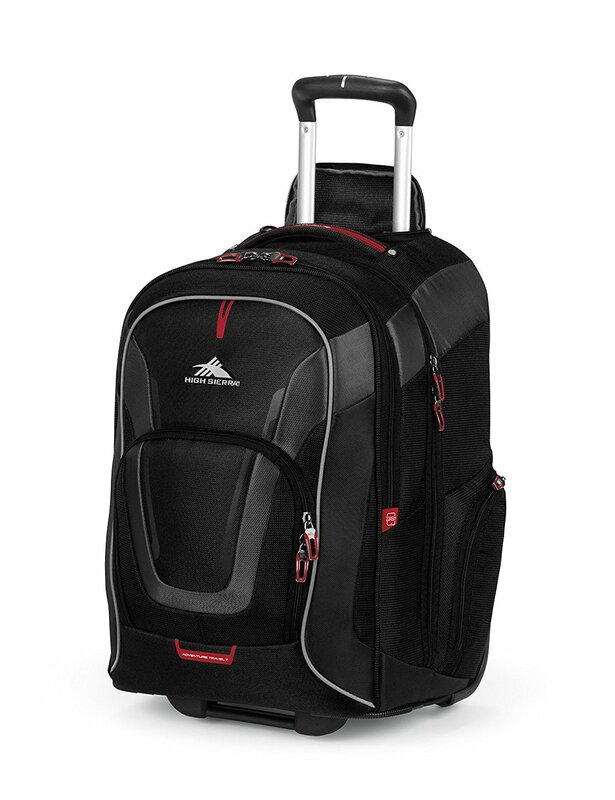 Many wheeled carry-on backpacks come with a detachable daypack, which is great for additional storage space. The daypacks can be stored beneath the airplane seat so you can still avoid checking your luggage but still get the benefit of additional luggage space. Wheeled backpacks are available in many different sizes. Some small ones have less than 38 liters while the big ones can hold 90 liters or more. 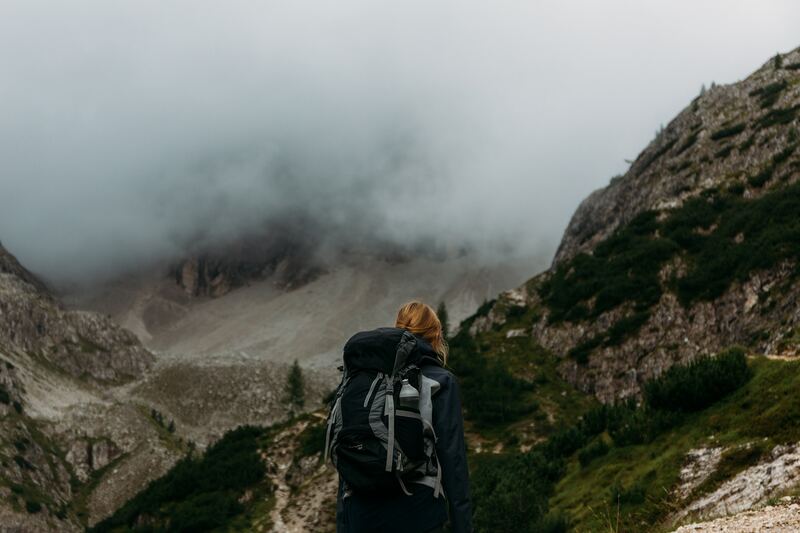 If you’re planning to use a wheeled backpack to hold a lot of clothing and other items, or if you’re taking it on a backpacking expedition and expect it to carry everything you’ll need to live on for a week or more in the wilderness, a large backpack might make sense. 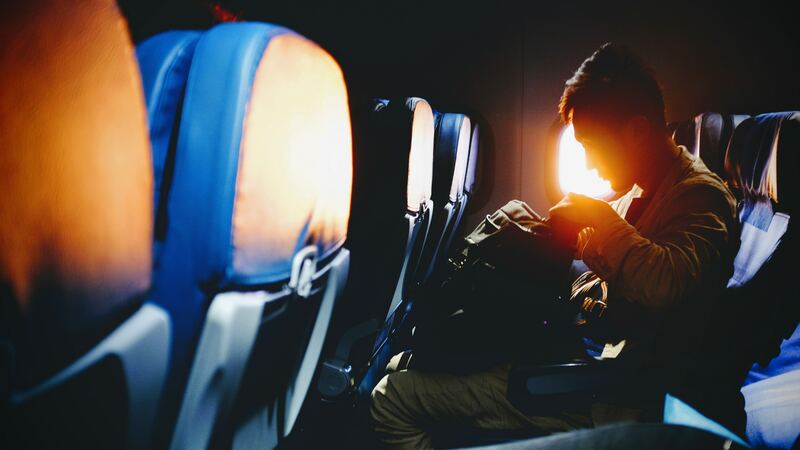 On the other hand, if you will wear your carry-on backpack with wheels on your back or carry it by hand frequently throughout your travels, a smaller, more easily maneuverable bag may be in order. A large backpack filled to the brim will be heavy, harder on your back and more challenging to navigate with in general. Smaller bags will have a bit less space because the wheel mechanism and backpack straps take up space that would otherwise be free for your things and add weight as well, but you’d be more likely to be able to use it as a carry-on. You’ll need to weigh your personal needs to determine what size is best for you and your travels. Manufacturers of wheeled backpacks often compete to offer a selection of features that will make them stand out from the others. See common features below to determine which is the best carry-on backpack with wheels for your needs. Not every backpack will have every feature, so pay attention to the features you find most important. Easy-access top pocket: This is a great pocket to store travel documents, a wallet or other things you may need to get to quickly. Full zipper opening: Some bags completely open with the zipper (instead of just the top opening). People sometimes like this option so they don’t have to dig to the bottom of the carry-on backpack with wheels to find what they’re looking for. Mesh and zipper interior pockets: Several carry-on backpacks with wheels offer pockets of different sizes and types. These allow you to better organize your belongings. Padded electronic pouches: These are pouches to keep tablets, laptops, phones and other electronics safe while you’re out and about. Side pockets: These are great if you like to keep water bottles, umbrellas or snacks within easy reach. Storage Space. Make sure your total storage space is enough for your needs. Adjustable compression straps: These help keep items in place if your bag isn’t full. Adjustable straps: Some bags have shoulder straps, chest straps or a hip support belt to stabilize the bag when wearing it on your back. The waist/hip belt helps prevent injury to your shoulders and back while the chest strap helps prevent you from being pulled backward by the backpack by keeping it close to your body. Convertibility. Do you want your carry-on backpack with wheels to be able to convert back and forth between backpack functionality and a normal wheeled carry-on? Many luggage brands offer options to be able to conceal or hide backpack straps, so they are only deployed when needed. Low-profile handles on all four edges: This helps make sure the bag doesn’t catch on things. Retractable handle: Retractable handles come with either a single pole or dual pole design. The single pole design is nice because it saves weight, but the dual pole adds strength to the handle and gives a wider base to stack additional luggage on top of the main carry-on if needed. Wheel size and clearance: There are different wheel sizes offered and different heights of wheel clearance. This can be important depending on the terrain you will be rolling your luggage over. A higher wheel clearance can prevent the base of the luggage from contacting the ground and can add longevity to your luggage. Durable wheels: Wheels should be on sealed bearings to keep them from breaking off easily. Light and sturdy aluminum frame: This will help the best carry-on backpack with wheels for you last longer. Rip and water resistant: This will let you take your backpack on adventurous hikes or long airplane rides without you needing to worry about your bag and its contents. Strong interior lining: You want the lining to be strong, so you can take things in and out of your bag without worrying about damaging it. Sturdy zippers, zipper pulls and lockable loops: Many people report that these are the first things to break when backpacks get heavy use. 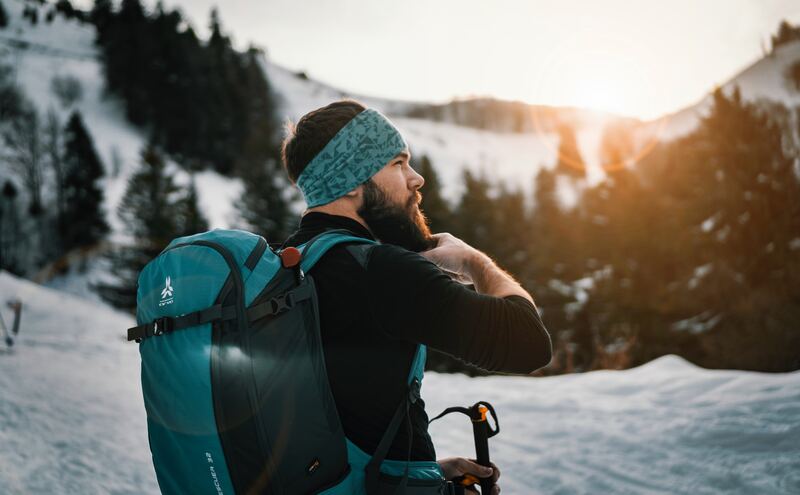 Attachable daypack: Some of the best carry-on travel backpacks include an attachable, stackable carry-on daypack that will fit underneath an airline seat to keep your electronics, valuables and fragile items close at hand. Built-in whistle: This is an additional safety feature you can use to call for help if you need it. Built-in reflector: This is another safety feature some travel backpacks have. This will help your backpack reflect lights so you’re more visible. While you’re looking for the best carry-on backpack with wheels for your travels, consider a brand that offers an additional daypack that zips or clips onto the main backpack. This is a great option as it allows you to have a smaller, lighter backpack for day-to-day use on your trip. The standard wheeled backpacks are often too large for convenient use on a daily basis. If you only have the wheeled backpack, you are forced to carry around the extra weight of the wheels and retractable handle. These larger wheeled backpacks also don’t always have convenient features such as a laptop sleeve and smaller pockets and pouches to carry items such as keys, phone, camera, chargers, passport and so on. In addition, the detachable daypack can offer extra storage while still not needing to check your luggage. The larger wheeled backpack can fit above you on the plane, and the smaller daypack can be detached and stored beneath the airplane seat. Between the two bags, you can carry as much as 65 liters worth of luggage and still not need to check your bags. The best carry-on backpack with wheels for travel is compatible with your itinerary, planned activities and modes of transportation. If you’re staying in one place for a while and don’t need to keep your backpack with you every moment of the day, a larger one is convenient for keeping all of your belongings together while still being extremely mobile. If you do need everything with you at all times, a carry-on size wheeled pack will be easier on your shoulders and back, especially if it has a daypack that you can detach from a larger bag. Excursions that involve a lot of hiking, biking or motorcycling will be more comfortable with a smaller pack that has padded straps and a design which prevents the wheel mechanism from digging into your back. Padding throughout the bag and rip-resistant materials on the exterior will help your backpack survive rough treatment and frequent use on active trips. Your backpack’s wheels also deserve careful consideration. If you are only rolling your bag through airports and train stations, almost any type of wheels will work fine. But if you’ll be on uneven or bumpy surfaces like cobblestone streets and unpaved roads, get wheels that are durable with sealed bearings and treads (not spinners). Don’t forget to pay attention to clearance too. 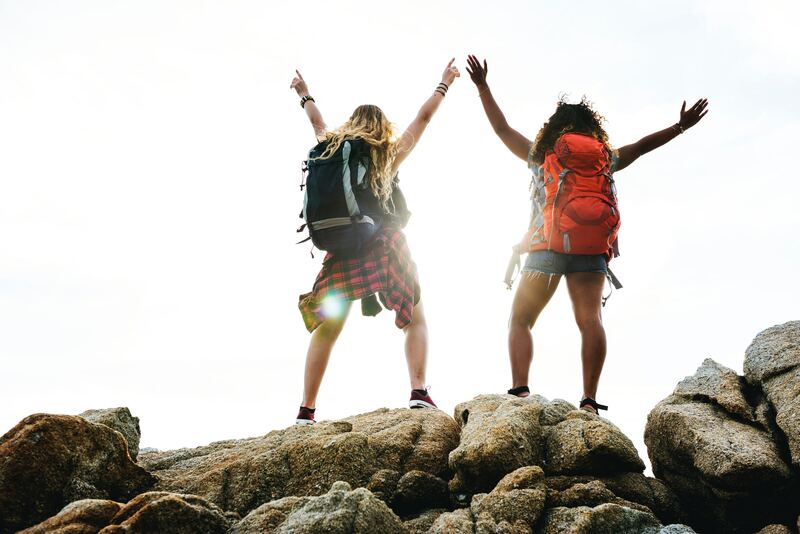 Every traveler and every trip is different, so take these things into consideration so you can find the best carry-on backpack with wheels for your unique needs. Now that you have a better idea of the size and features you want in your wheeled backpack, consider the price. Larger bags are generally more expensive than smaller ones. 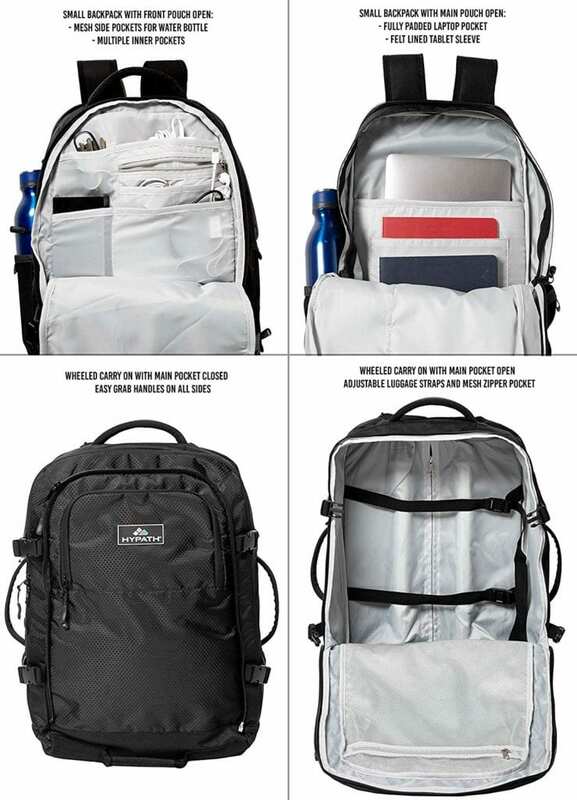 Those which include detachable daypacks may be more expensive than those without them. Some brands use better, stronger materials and are more durably constructed than others, often increasing the price. Some well-known brands carry premium prices but offer a lifetime warranty for repairs and replacement. At the time of this review, smaller wheeled backpacks are available from approximately $120 to $350. Larger varieties range from roughly $215 to $570. Many of these bags are available from Amazon and other online retailers, as well as some outdoor gear stores. If you are on a budget, prioritize your most important features, so you can still get the best carry-on backpack with wheels for your needs without exceeding your price limit. If you’re looking for a convenient way to keep your belongings close to you and safe, you’ll benefit from this type of bag. Once you consider your size and weight requirements and the features you need, you’ll be able to pick the best carry-on backpack with wheels for you. If you’re still not sure exactly what you’re looking for, read our individual reviews of our top picks for carry-on backpacks with wheels.